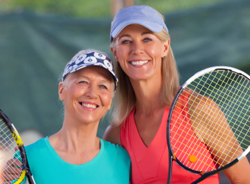 Many retirees think that moving into 55 and older communities will make them boring. 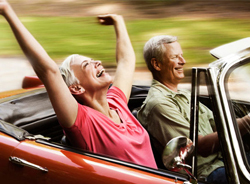 Retirement should be everything but boring. Vienna Square is an excellent place to consider for your new home. 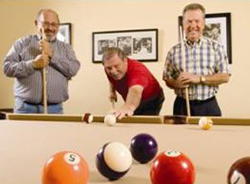 There are so many things to do in Florida retirement communities you will find anything that you enjoy here. This great community offers luxury on a budget. 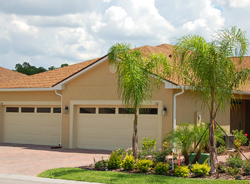 Many similar Florida retirement communities do not have the same amenities for the price. There is a beautiful 7000 square-foot clubhouse for all residents to enjoy. It features a ballroom, a surround sound movie theater seating 30, a great fitness center and even a billiards room. You can select from any of our eight single-story home designs. All of the models come with several standard features, such as walk-in closets, great rooms, garages and under roof screened verandas. These elegant homes are spacious and comfortable. You have many upgrade options available to customize your experience. Lawn mowing, edging and blowing services are available for these homes, because we believe that 55 and older communities should offer a variety of services. There are two beautiful models for the maintenance free Villas we have available. You will own the land on which the Villa is built. These Villas are made with concrete block construction. They have two car garages, great rooms, walk-in closets and more. Just like the homes, these Villas have great upgrade options. The Villas are called maintenance free because you can choose to have mowing, irrigation, fertilization, mulching and other maintenance-related tasks completed for a small monthly fee. Vienna Square is conveniently located just south of Winter Haven. Tampa and Orlando are not far away. There is easy access to I-75, I-4 and the Florida Turnpike. Orlando offers a variety of amazing family-oriented attractions as well as great sporting events. Enjoy Disney World, Universal Studios, and more. This great city has many restaurants and live music venues. Tampa and St. Petersburg are also close by. St. Petersburg has amazing beaches for you to experience. Tampa has some great sports teams, and is home to Busch Gardens. Bradenton and Sarasota are a little further south, and offer many beautiful beaches and great shopping. There is so much culture available in Florida. You will be extremely happy choosing Vienna Square. We have created a rich community of great neighbors. We enjoy taking care of our residents and offer a variety of services like meal planning, laundry service, medication management, housekeeping and more. We know what 55 and older communities need to keep their residents healthy and happy.